Getting bored with winter produce? These five recipes offer fresh inspiration, featuring fruits and vegetables available right now. 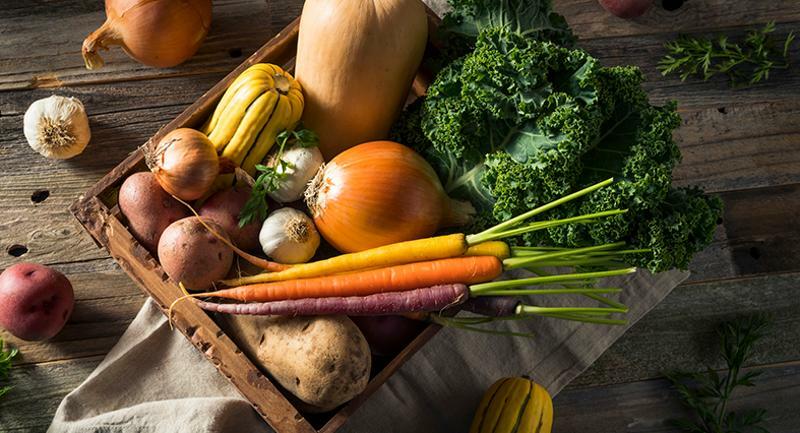 Until the first local vegetables come into season later this month, Executive Chef Kyle Bailey is channeling spring with winter produce. 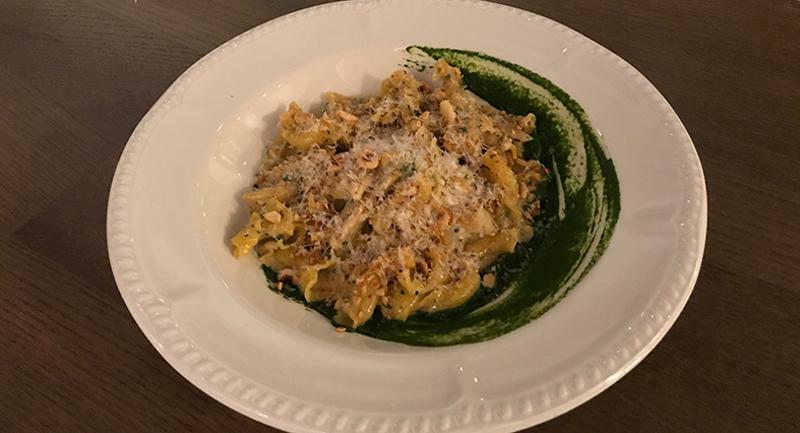 New on the menu at The Salt Line, his Washington, D.C., restaurant, is a sweet potato pasta with herbed ricotta, salsify, spinach puree and hazelnuts. 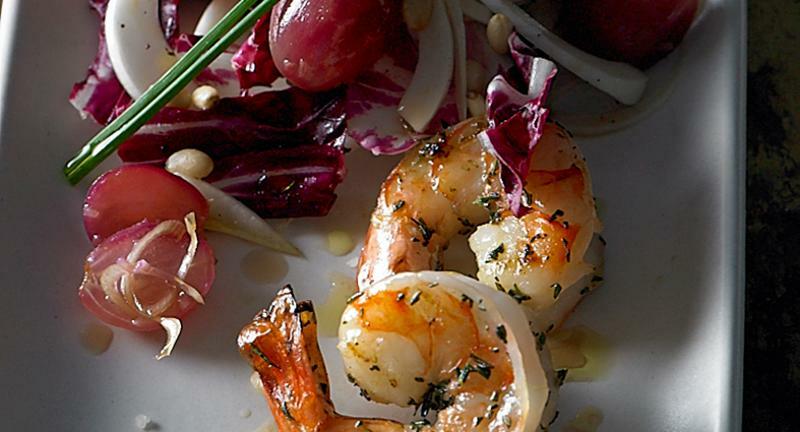 Pairing fruit with seafood is a creative way to get more produce on the plate. Chef Watz roasts the grapes to add another layer of flavor and uses fresh herbs and lemongrass to tie the ingredients together. 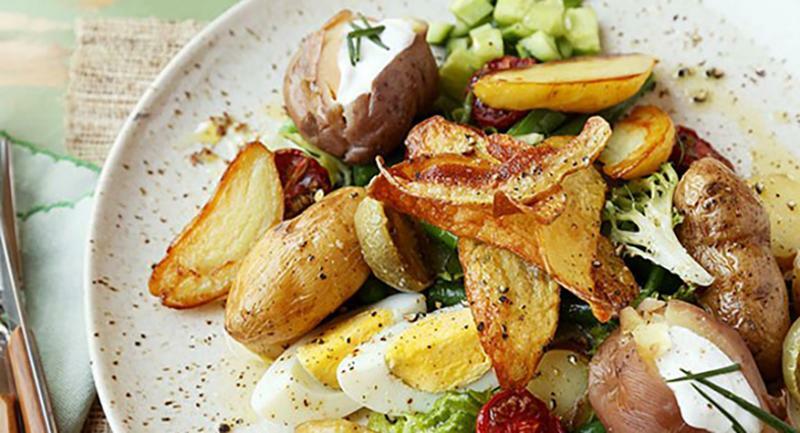 Potatoes are in season year-round, and chef Loeb makes the most of them by combining different preparation techniques in one salad. He starts with several varieties of fingerlings, boiling some, baking others and frying the rest to crisp them for the garnish. Green beans and peas add pops of green to the dish. 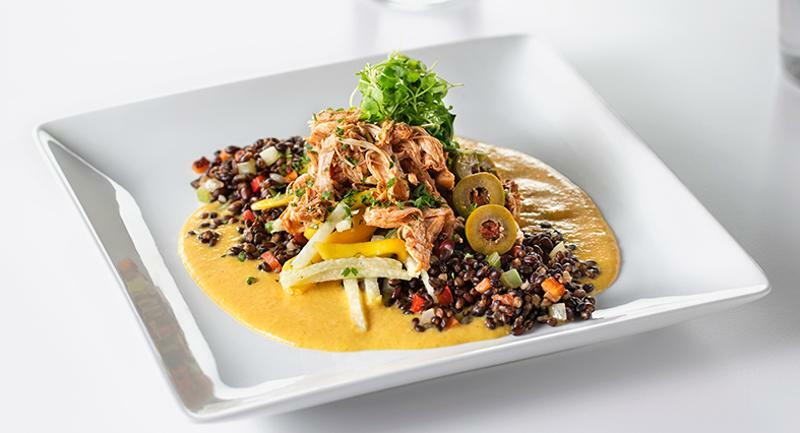 At UNC Rex Healthcare, chef Conklin creates a vegetable-forward plate by spotlighting black barley pilaf and a mango-jicama salad on an entree of ropa vieja. The Latin-style dish is made with braised chicken thighs instead of the traditional red meat and is portioned out in a smaller serving, surrounded by the grains, salad and a housemade plantain mojo sauce. 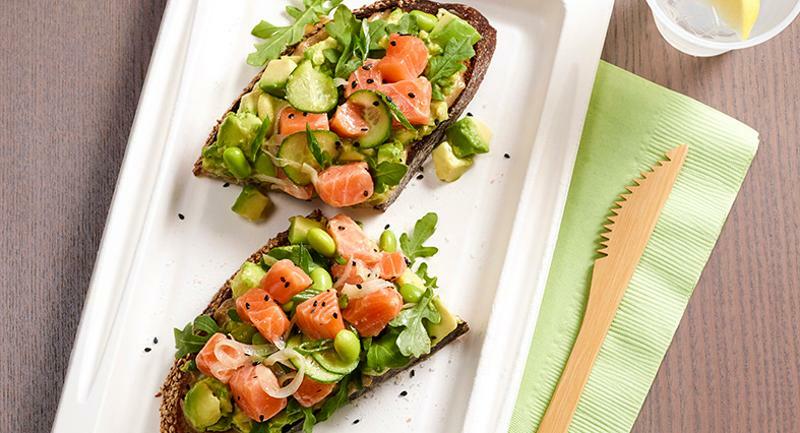 Chef Chung taps into two top trends—poke and avocado toast—to create this recipe. The pokecado toast is adaptable to several meal occasions, including breakfast, lunch and snacks.